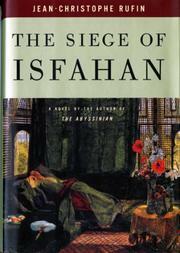 This heavy-breathing sequel to Rufin’s popular romantic adventure and surprise Prix Goncourt winner, The Abyssinian (not reviewed), takes stalwart apothecary Jean-Baptiste Poncet from his homeland to Russia (in the early 19th century), and a series of dangerous exploits that climax upon his return to Isfahan, then under attack by Afghanistan. Rufin works in a lot of highly colored history, as well as heavy dollops of melodrama, in a lively homage to the empurpled heyday of Rafael Sabatini. Absolute nonsense—and immensely entertaining.